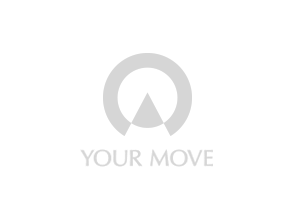 Your Move estate agents Leicester is in the city centre on Halford Street. We are easily accessible by public transport and close to the Cultural Quarter of Leicester. After a challenging year for the property market in 2018 we expect this year to offer similar challenges, with that being said we have seen a steady growth in the market across the year. This is because Leicester is suitable for a whole range of people from students and young couples to families and retirees because of the diverse area that Leicestershire covers. Leicester has also been a sought after area because of the high level of diversity of people that live in and around the city meaning that the city always has something going on for everyone. We offer fantastic advice for buyers and sellers from our experienced residential sales team with house prices varying from £60,000 for a retirement villa to a circa £2,000,000 luxurious family home. Whilst landlords and tenants can expect a great level of service from our lettings team with prices in the local area from £300pcm to £2,400pcm and financial services advice from our financial partners Embrace financial services. Our Leicester office covers postcodes in LE1, LE3, LE4, LE5, and parts of LE2, LE7 LE9 and LE18.